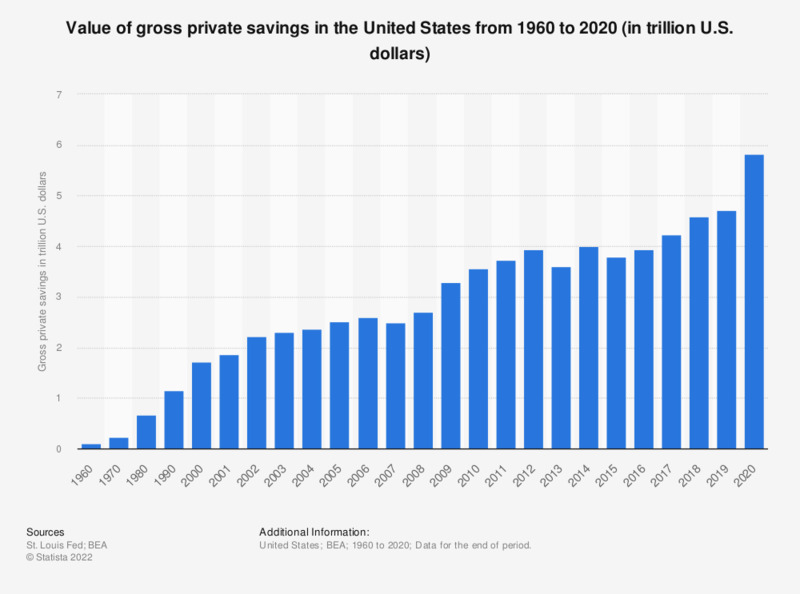 The statistic presents gross private savings in the United States from 1960 to 2018. The gross personal savings in the U.S. amounted to approximately 4.64 trillion U.S. dollars in 2018. Data for the end of period. What purpose do you save money for?